The demand for renal disease treatment products and therapies has been incrementing steadily in the past few years, owing to the prevalence of poor kidney functions among a vast population base across the world, especially in the Asia Pacific region, and increased government support. However, the participants of the global renal insufficiency market must take a note of weak competition among the marketed products for the treatment of chronic kidney diseases (CKD). Currently, there are more than a dozen products marketed in the field, such as Erythropoietin (EPO), Angiotensin Converting Enzyme (ACE) inhibitors, angiotensin II receptor blockers (ARB), phosphate binders, and iron replacement products. While most of these products are approved by regulatory bodies including FDA, their lack of effectiveness in order to control the escalation of chronic kidney diseases is discouraging the targeted patients to continue. Consequently, the global market for renal insufficiency desperately needs a first-in-class product, and research and development of the vendors will determine the leader among them in the near future. The global renal insufficiency market is also gaining traction from poor safety profiles of the existing therapies. As there is an ample amount of unmet need and hence the market is ripe for the introduction of a therapy that meets the expectations. The severity of phosphate binders events associated with sevelamer hydrochloride, sevelamer carbonate, and lanthanum carbonate have given rise to a requirement of products with enhanced safety profiles and improved efficacy. This is another factors that augur well for the future of the market for renal insufficiency. 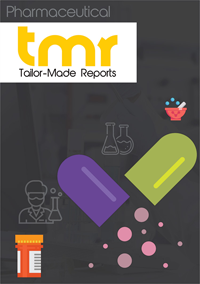 The report studies the prevalent dynamics in the global renal insufficiency market and its potential growth opportunities in detail. It presents insights into the growth drivers and key restraints to help the stakeholders get a better perspective of the global renal insufficiency market. The global renal insufficiency market is exhibiting impressive growth under the influence of drivers such as the increasing number of people with renal insufficiency, rising incidence of diabetes and blood pressure, and the rising number of dialysis centers worldwide. Of these, diabetes and blood pressure are regarded as the two main causes of renal insufficiency such as end stage renal diseases. In addition, the market is also witnessing increasing demand for home based dialysis as it helps in significantly reducing the cost incurred on treatment. Hence the rising demand for home based dialysis is also expected to have a positive impact on the overall market. Regionally, Asia Pacific, North America, Europe, and Rest of the World constitute the key market segments. Among these, North America represented the leading regional market in 2013, trailed by Europe and Asia Pacific. The rising demand witnessed in the U.S. and Canada is the chief driver of the renal insufficiency market in North America. As per findings of the Center for Disease Control and Prevention, over 113,136 patients received treatment for end stage renal disease (ESRD) in 2011 in the U.S. alone. Over the course of the forecast period, the number if projected to increase further, which subsequently will create high demand for effective treatment and diagnosis solutions. Between 2017 and 2025, the renal insufficiency market is expected to report impressive growth in Asia Pacific under the influence of persistent economic growth across emerging nations. Besides this, the market is also expected to gain from the increasing pool of patients suffering from renal diseases and the growing awareness about the availability of advanced treatment options. To study the prevailing competition, the report includes profiles of companies such as Baxter Healthcare, DaVita Healthcare Partners Inc., Fresenius Medical Care AG, Nikkiso, Gambro AB, Fuso Pharmaceutical Industries Ltd., B. Braun Melsungen AG, Nipro Corporation, Terumo Corporation, Kawasumi Laboratories, Inc., and Asahi Kasei Medical Co. Ltd. Since these players actively participate in the market, their operations have a significant influence on the overall business dynamics. To gauge the contribution of these companies towards the market’s growth, the report conducts SWOT analysis on them. It thus studies in detail the strengths and weaknesses of the companies profiled and also identifies the opportunities and threats that these companies are poised to witness over the course of the forecast period.